Target is once again being commended for its inclusion of people with disabilities in advertisements. 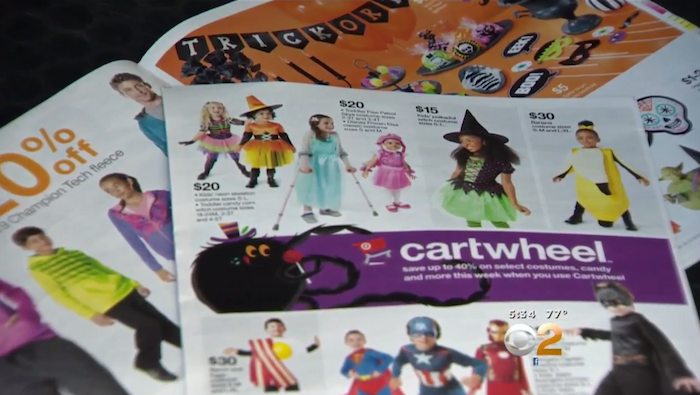 The retailer’s Halloween ad this year features a little girl dressed as Elsa from Disney’s “Frozen” and using a mobility aid, CBS Los Angeles reported. The little girl has spina bifida. Lucy Castillo, 8, also has spina bifida, and she’s planning on being Elsa for Halloween this year as well. Her mother, Elizabeth Castillo, appreciated Target’s effort to show her daughter kids she can relate to. This isn’t the first time Target has included differently-abled people in its advertisements, and the retailer says it will continue to showcase the diversity of its community.